In 2017 we took on a new advocate Angus, who is based up in Scotland. He has been helping to meet the ever growing demand for Carbon Literacy in Scotland, attending events and connecting with local groups and organisations who are interested in Carbon Literacy training. 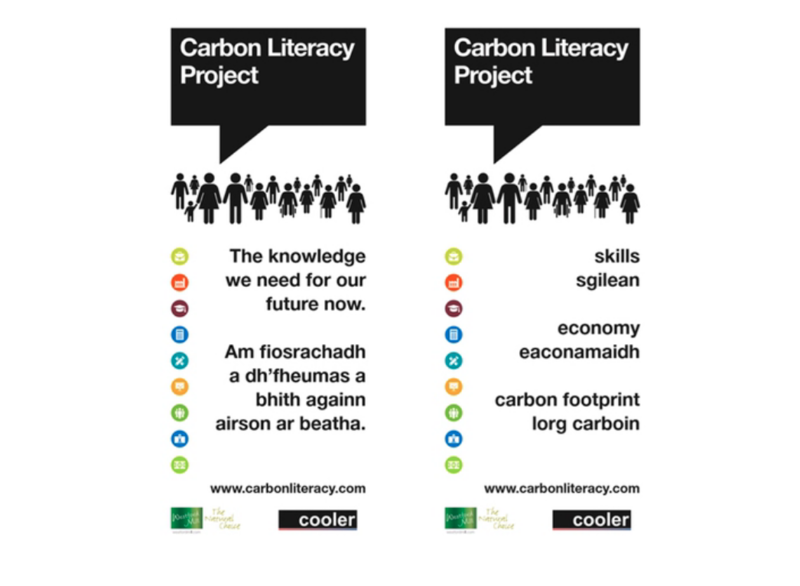 Due to the fantastic work that has already been undertaken by himself and the other organisations working on Carbon Literacy, and that which is forecast for the coming year, we would like to unveil our new bilingual, Scottish Gaelic and English, pop-up banners! They will be accompanying Angus to events he attends so keep an eye out for them!